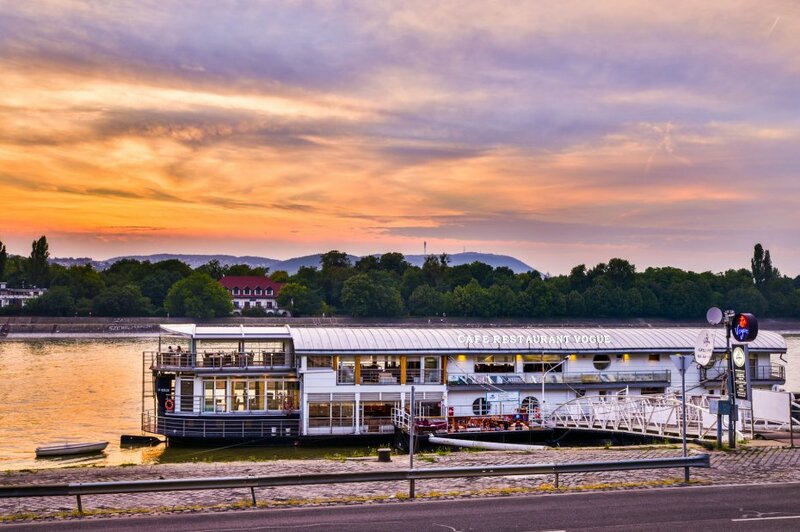 There’s a place in the heart of Budapest located at the Chain bridge – this place is one of the most attractive modern establishments of the city. The Boat named Spoon is a 75 meters long, three-decker docked boat with a unique interior design. The high-quality Spoon-feeling has been beloved by many foreigners living in Hungary and by those who are looking for entertainment and gastronomic adventures at the same time in Budapest. The Spoon ensures a unique experience for all the guests who are looking for not only a place to eat in, but the perfect atmosphere with a panorama of the Buda Castle and the Chain bridge as well. Two restaurants, two huge panoramic open terraces, a convertible winter garden and 4 bars guarantee the comfort and relaxation which is hard to find nowadays anywhere else in Budapest. 1052 Budapest, Vigadó tér 3. kikötő 1. 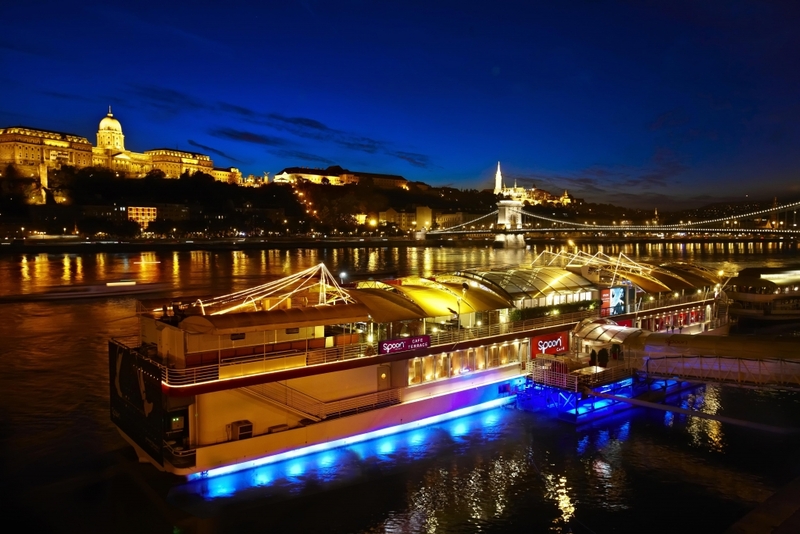 Ship Vogue has been sitting in the heart of Budapest on River Danube for two decades now. In an exclusive surrounding they guarantee an unforgettable gastronomic experience for their guests. The restaurant of Vogue is located far from the urban bustle, however in a busy area. 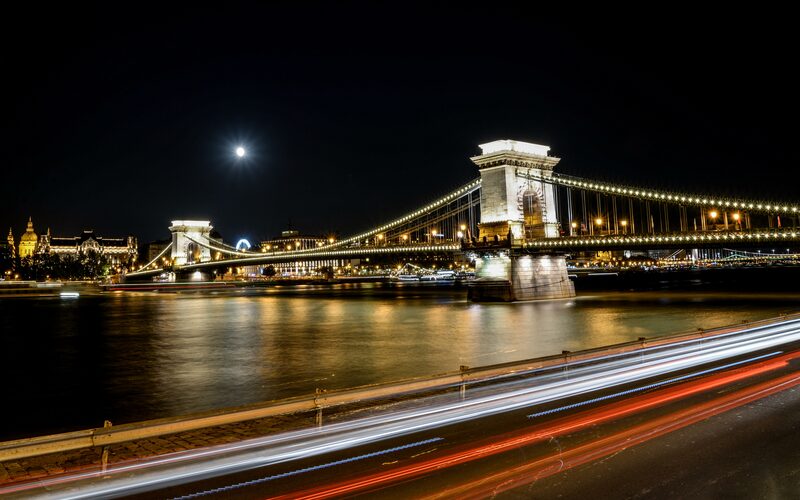 The monuments, the sight of the Danube gives an exceptional atmosphere in the daytime, and the lights of the Buda Castle and the Margaret Bridge in the evening. The boat anchors on the Pest side of the river. You can approach them within walking distance from Jászai Mari tér where Tram 4 and 6 stops – don’t miss that perfect Vogue-feeling!